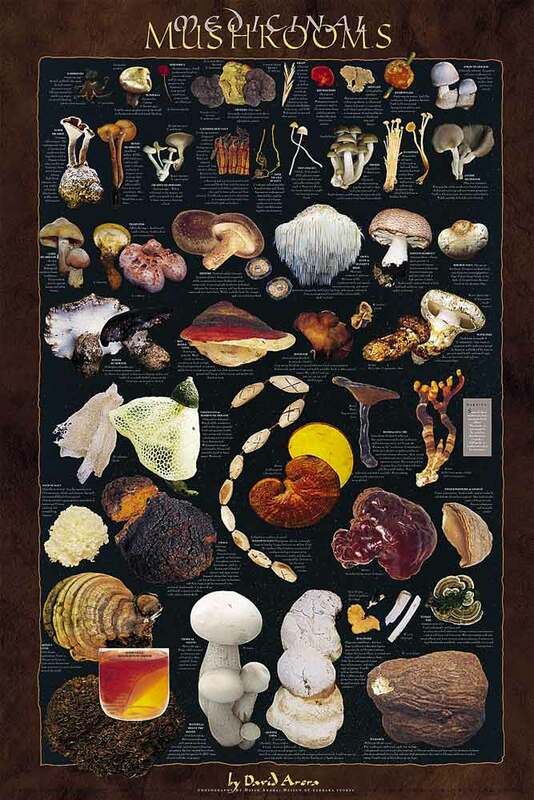 MEDICINAL MUSHROOMS POSTERS illustrate numerous traditionally medicinal mushrooms which are cultivated or can be found in the wild. Please Note: In order to provide you a fair representation of the poster - this image may take a while to load. However, the original posters are of a much higher quality than you will see here.